Strangers 2 news | JAMMSBRO '+g+"
Spoilers about the first film in this post. The producers of the sleeper horror hit Strangers have moved into production with the second movie. The next film will be set around a trailer park community and will deal with a family dynamic. 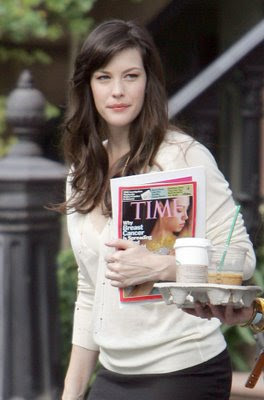 Whether or not Liv Tyler will return is not known. Her character is seen alive at the end of the original (which is based on a true story and was one of my favourite films last year) but it would be unwise to shoehorn her character in to the story unless the Strangers have decided to finish the job. I'd like to see Liv in the second one, the first one was ace.